Fishing in Thailand was recently set up by Barry Gregory with the sole aim of making it easier for anglers to find the best fishing resort for their needs, as well as providing hands on support for other areas of their trip. 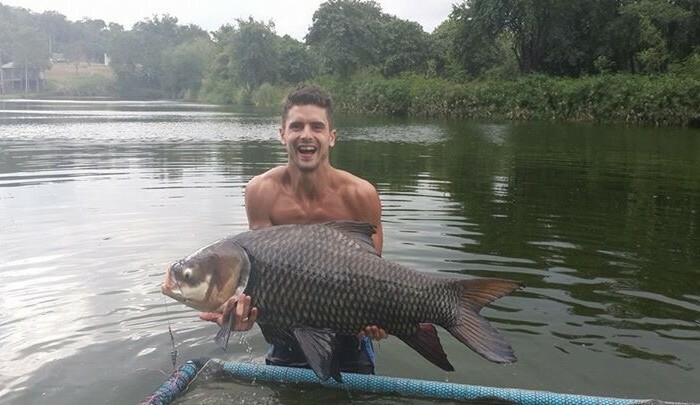 Barry is a hugely successful angler, with personal best fish including a 280lb Arapaima, a 102lb Siamese Carp and a 92lb Chao-Phraya Catfish, so he has personal experience of catching the biggest and best that Thailand has to offer. In addition, he has the highly credited Professional Angling Association coaching badges, more than 25 years in angling, has fished all over the world and was a member of one of the top coarse fishing teams in the UK. If you would like to fish with Barry now is your chance. This package will provide you with the chance of catching Giant Siamese Carp.